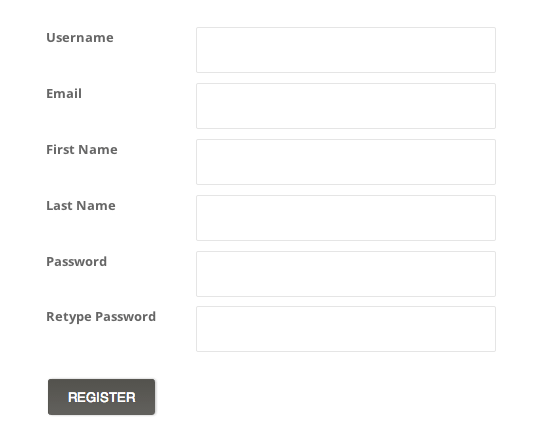 Create your user registration form with drag-and-drop fields. 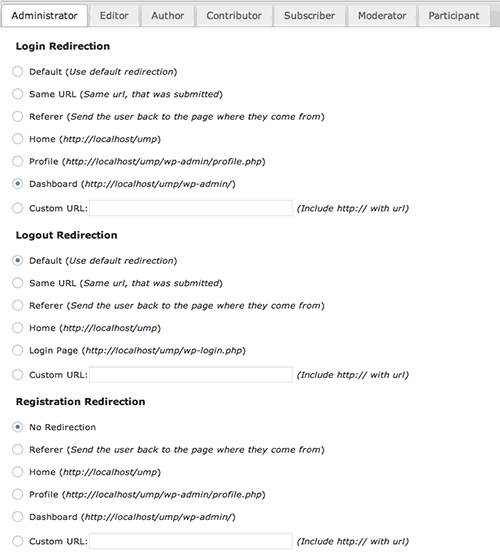 No need for WordPress default user registration! 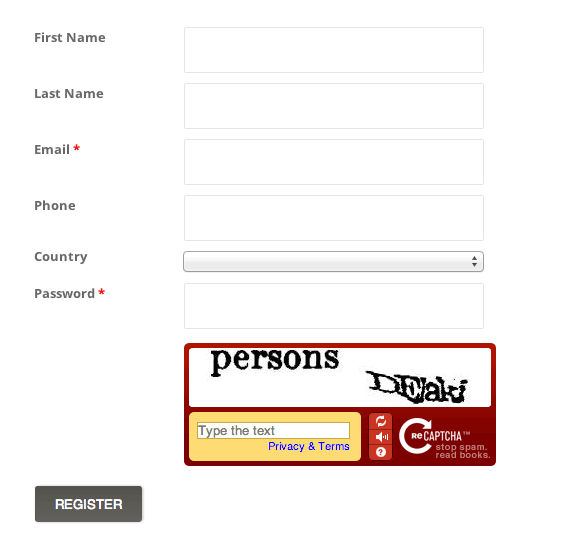 Registration shortcode, widget and template tag give you power to enable registration via front-end. Use different registration forms for different roles. Allow user registration without a username, just email. 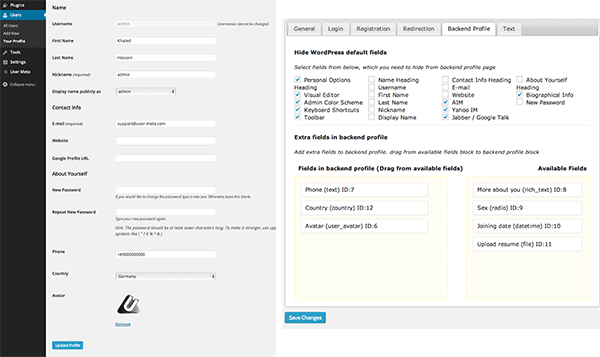 You are not limited to use only the default WordPress fields in the registration form. Build your form with extra drag-and-drop fields. 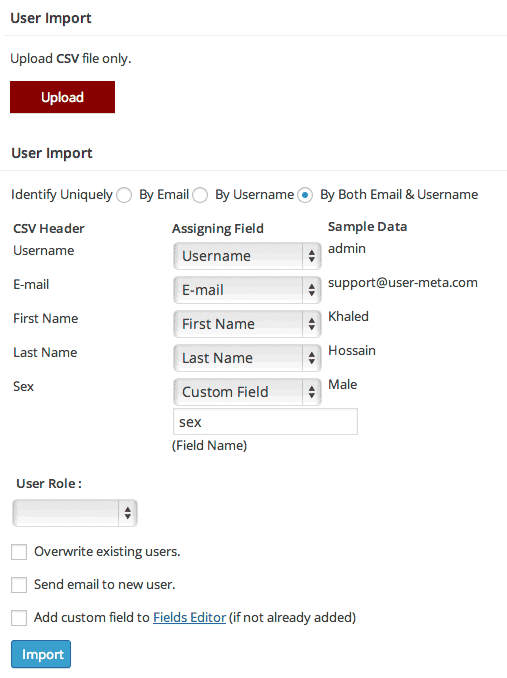 Data from extra fields will be stored at wp_usermeta table, so any other plugin can use the data very easily. Need a long registration form? Don't worry! Subdivide long form with pagination. No more need to redirect user to default WordPress profile. 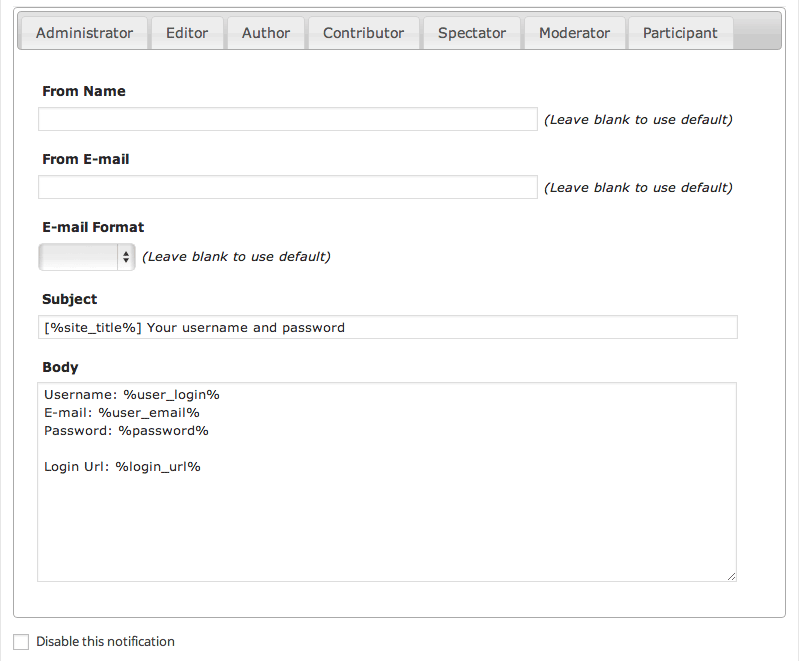 Instead, show user profile at front-end using shortcode, widget or template tag. Use different user profile for different user role. Like registration, adds extra fields to user profile too. Every default or extra fields contain proper validation (both client side and server side) and own configuration to best suit your needs. 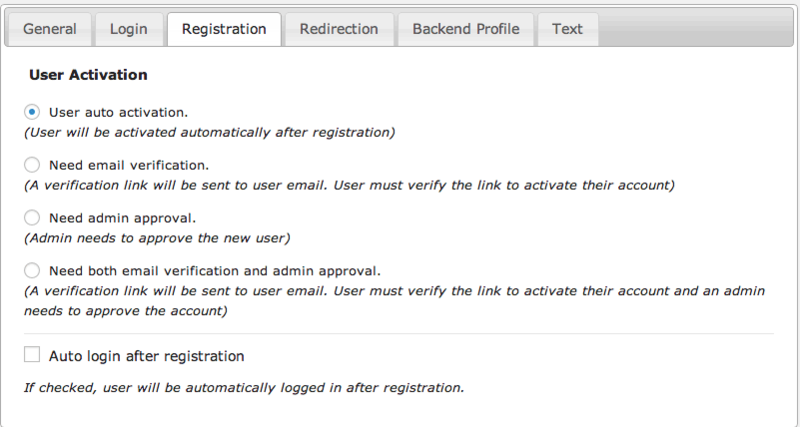 Your pre created extra fields could be added to default backend user profile. Want to hide the unnecessary field from backend profile? Yes! You have the option to hide them. Use shortcode, login widget or template tag for front-end login. Not only login but also forget password and reset password are in front-end. 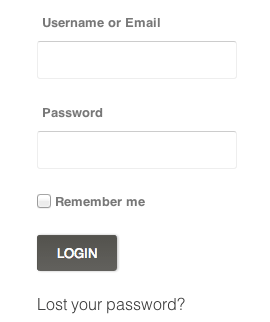 Customize the whole login page with extra fields. Everything you need to build your profile or registration form is here. Every field contains its own configuration and validation. Very easy to use them, just add them to your form and you are done. Bulk users export/import to or from csv file. Just select which field you want to export, and you are done. Filter users with role or date. 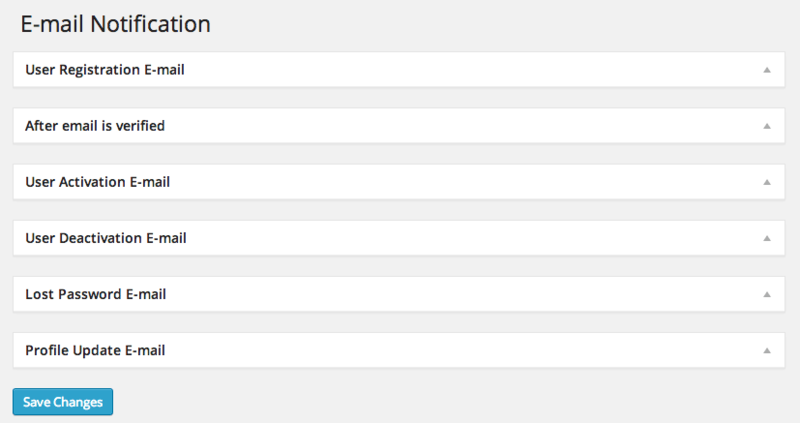 Optionally, you can create several export templates with different settings. Import bulk users from csv file. You can map fields from csv to your site to import. Import only new users or update existing user's data. Optionally, send bulk email while importing new users. Send user custom email while they are registering. Send email to admin with custom fields. Get notified admin if user update their profile. Customize lost password, email verification, user activation or deactivation email. Use placeholder to include any extra field's data to email. Change email sender information for certain types of email. Every email sent from your site can be customized to use a particular name and email. Let user verify their email before accessing your site, or let admin can take decisions as to which user should get access. Let user automatically log-in immediately after registration. 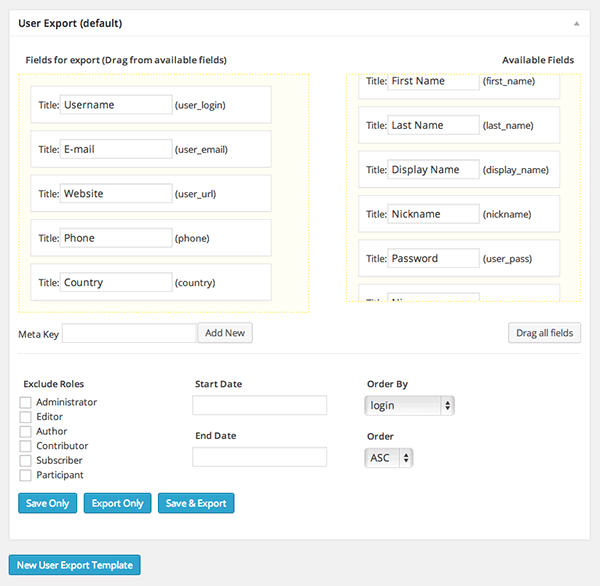 Great plugin, easy management with smart and innovative forms. Could not do this website without you! So very glad folks like you make plugins like this. With so many choices out there to choose from, there is really no choice. It is only you I have eyes for. I swear to never cheat on you, my dear 'User Meta Pro'! Keep up the great work! Keep our love alive! super ....viele Wochen nach dem richtigen plugins gesucht. Jetzt gefunden.. I have used this plugin for over two years and it is great, it has its limitations but what doesn't? After the initial learning curve, I was able to refine my website around this and other plugins. I am not a programer, don't get my hands dirty with coding but it lets me do everything (well almost everything) I need to. Thanks for all the time you must have put into it. Thank you so much for developing this plugin! This plugin has played a huge role in the success of Insurance Library - which now has over 1,000 registered users managing their user profiles. We tried (and paid for) a few other plugins, but none of them provided us the level of flexibility, ease of use, and nice design that User Meta Pro offers. We use it for our "contributor sign up" page and it also serves as the self-serve profile management tool used by our users. 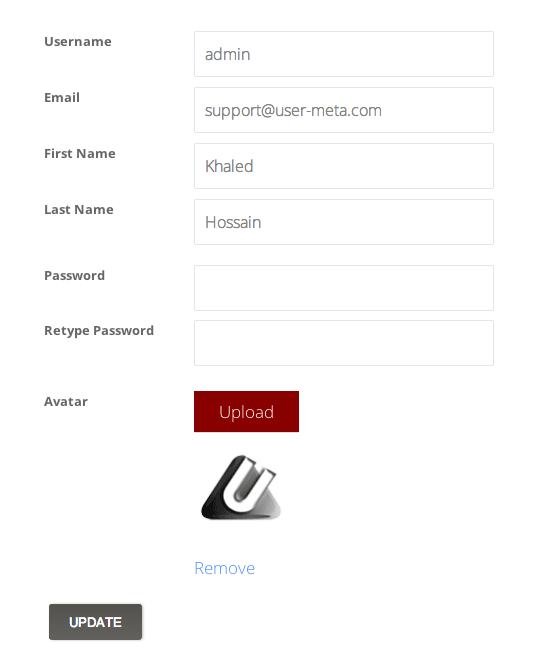 We are a group of developers, volunteers in a scientific club, we've been looking for a fron-end user profile plugin for website, after days of research on internet, we have decided that user-meta plugin was the best for the job.